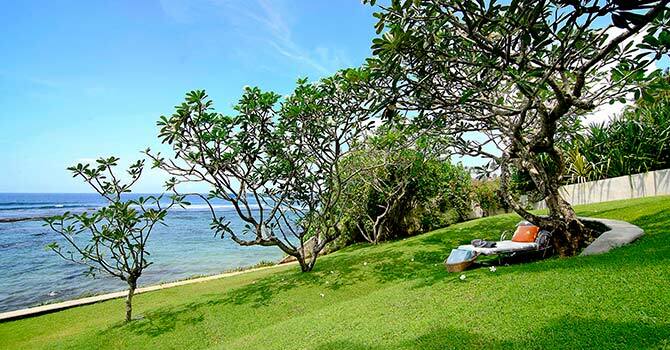 Suriyawatta Villa is a stunning home overlooking a lagoon with five bedrooms and space for up to 10 guests. The villa is fully staffed with a dedicated professional team including an experienced chef. The spacious and modern villa has a large sitting room with comfy sofas, a TV and French windows leading onto the terrace. There is a beautiful dining area with long table capable of seating all 10 guests to eat surrounded by stunning views of the sea. The kitchen is modern and well-equipped for a delightful stay. The outdoor areas are wonderfully landscaped to provide separate terraces where guests can find secluded areas to relax. 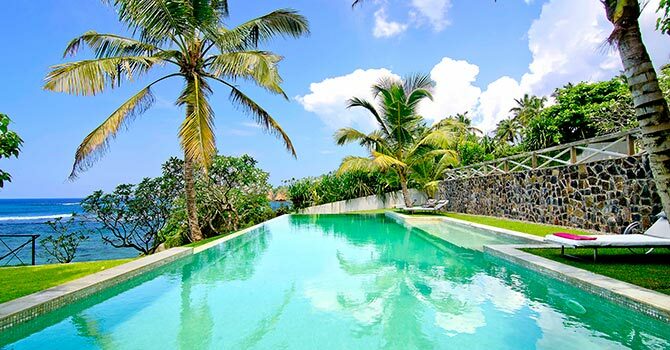 The sparkling pool is situated on a lower terrace with palm trees for shade and enjoys a beautiful view of the ocean. 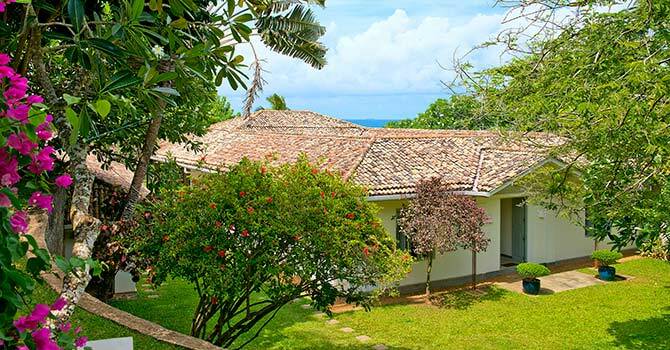 The villa has a private gate to the beachfront and a short walk to Turtle Bay, on the shore of Secreate Jungle Beach in Matara. There is surfing and whale watching available nearby, as well as a number of cafes, restaurants and shops. 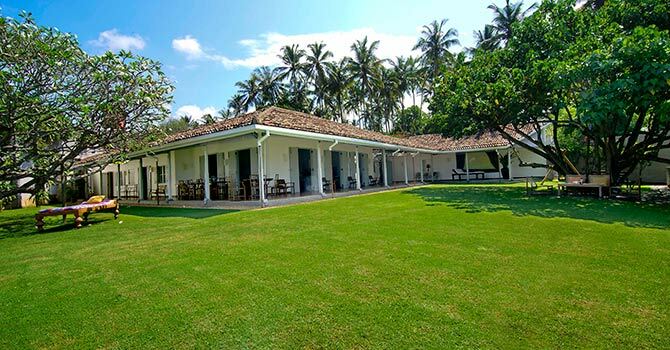 There are five bedrooms, four in the main house and one in a separate villa close to the front door. They all offer air conditioning and modern en suites. Two feature a king-size four-poster bed, while two are set up with two single beds. 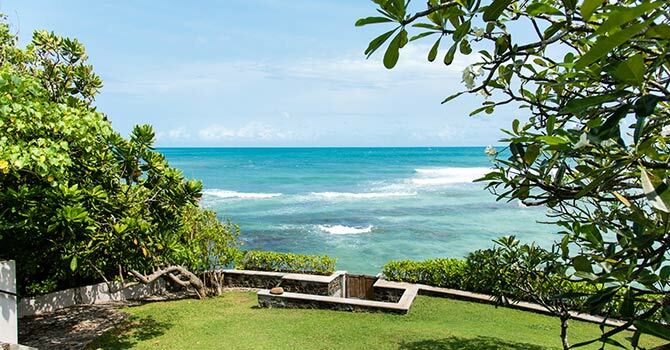 "Amazing Villa and Villa team"
Our family had an amazing time at this villa, the staff attention to detail was fantastic, Incredible food, the booking service through Villas in Sri Lanka was easy and the concierge service made all transfers very easy. I would recommend this to anyone looking for a great, relaxing villa. Thank you again to the whole team.